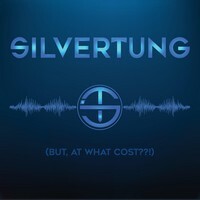 Home » Reviews » CD » S » Silvertung -…at What Cost? Silvertung - But, at What Cost? USA is a country that is fertile for Rock. Since the coming of the ancient names from 60’s and 70’s from England, the local Rock North American scene always reacted, as a good answer to the world for what was happening, until the 80’s, when they became a creative power itself. SILVERTUNG is a very good name from the new school of Metal and Rock from Baltimore, and “But, At What Cost” is really a great release. It sounds modern, melodic and tender, in a trend similar to names as STONE SOUR and DISTURBED, but they have their own way to do things. It’s a charming and very good blend of aggressive tunes with tender melodies that can catch the listener by the ears easily. Yes, they’re pretty good, and still have potential to be even better. On the sound quality, aesthetically they created something that can be understood easily, but bearing those aggressive modern instrumental tunes that are already known, but without being extremely greasy as some bands use. So their musical identity becomes extremely clear to the senses. They show seven very good songs on “But, At What Cost”, but the modern and abrasive groove mixed with the sharp melancholic feeling presented on “Dodging Bullets” (very good vocals and guitars), the catchy and abrasive feeling of “Feel Inhuman”, the accessible touch of the brutal “World Gone Mad”, and the ethereal parts of “You’re Fine” are moments where their musical talent is high above the norm. But all the songs are really very good. “But, At What Cost” is a very good release, and SILVERTUNG can be great as soon as they can turn their musical potential into songs.